Tributes from the 'diving village' have been paid to the late British shipwreck explorer, Steve Slater. Steve Slater died after surfacing from a dive on the 'Andrea Doria' on Monday 24th July. His death was announced by his family on Wednesday 26th July via social media. "It is with absolute sadness that we have to tell you that Steven died on Monday 24th July whilst diving in the United States. We are all heartbroken but draw comfort knowing he was doing something that he loved." His diving friends all agree that Steve was a skilled, highly experienced, temperate water and CCR diver, more than capable of diving the luxury Italian liner. He was dived-in, prepared and current. 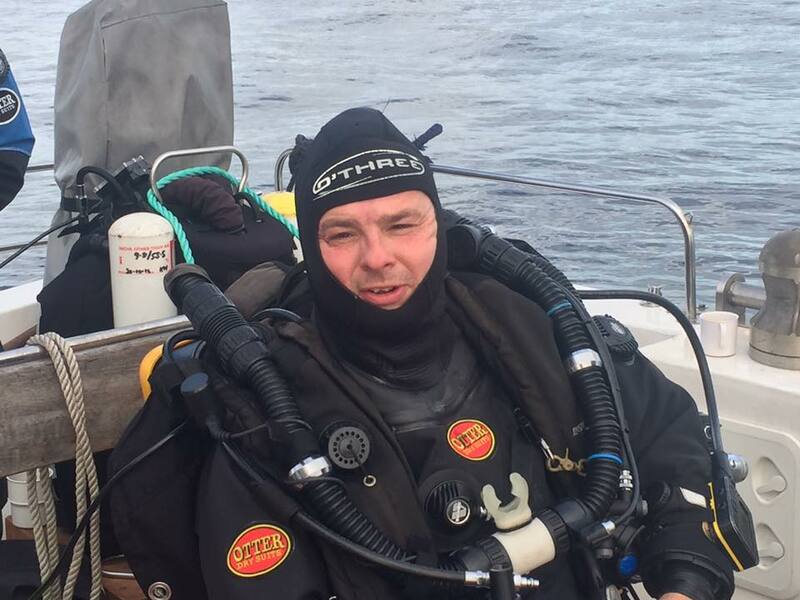 "If there was any bloke to get out of a problem underwater, it was Steve", stated Steve Sanders, a friend and diving buddy. The Andrea Doria lies in 62 - 77 mt / 203 - 252 ft in the Atlantic Ocean. "Often the ocean surface will be completely still, but current can be roaring on the wreck. Visibility can be 30 mt / 100 ft plus, but it is more likely to be 3 - 6 mt / 10 to 20 ft. One thing is for sure: it's always cold, roughly 3 - 8°C / 38 - 48°F." In other words Doria diving is cold and dark, and the wreck is swept by currents. 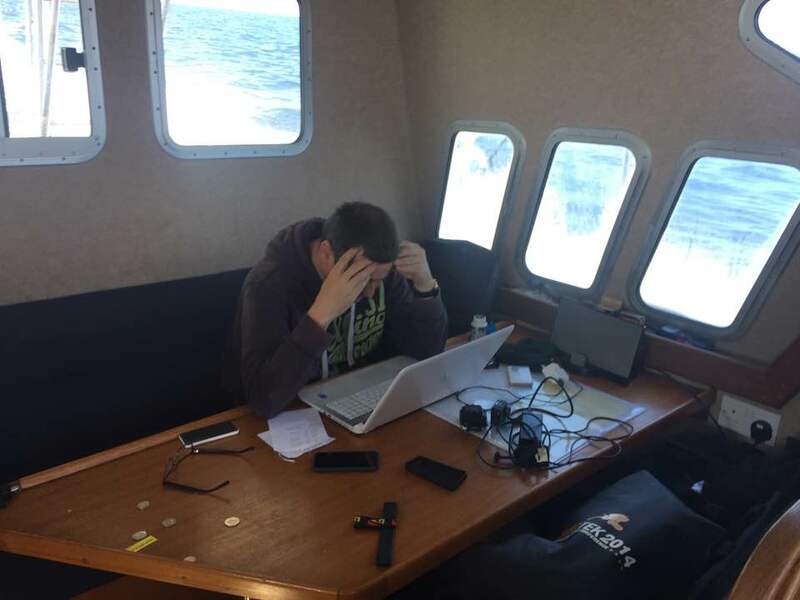 But these were very familiar conditions and depths for Steve Slater, because he was regularly deep / expedition wreck diving in and around the UK. Slater was a safe, meticulous diver, who didn't take unnecessary risks. 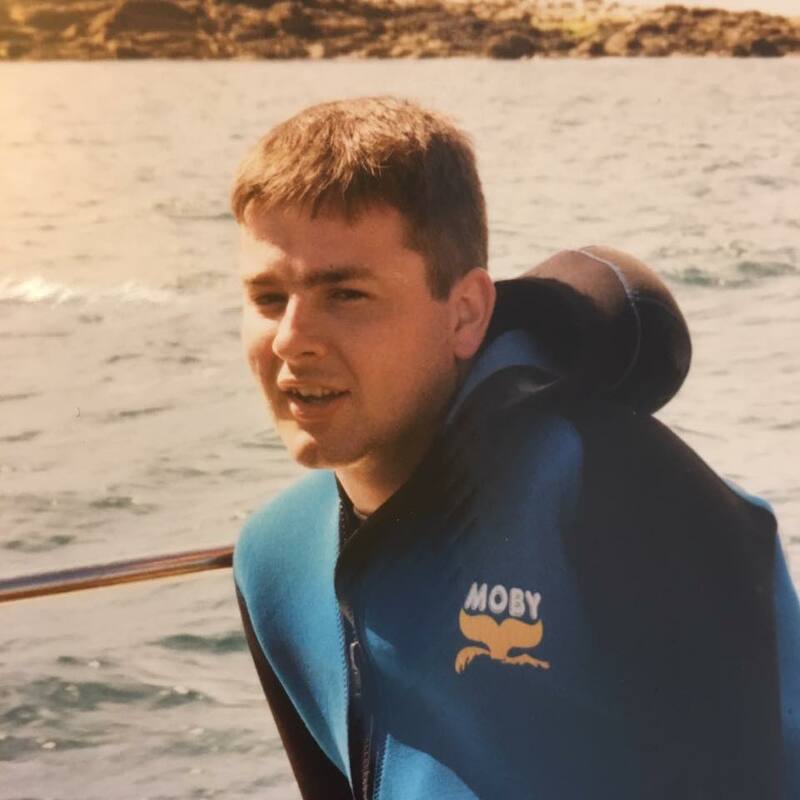 Steve learned to dive with BSAC club 'Tyneside 114' in 1989 when he was aged 18. It wasn't long before his fascination with wreck diving turned into a full blown love affair. By the early 2000s Steve was diving the 'Graveyard'. This is an area littered with the mangled wrecks of dozens of sunken ships, located some 30 miles offshore from his native Newcastle upon Tyne. His parents Norma and Edward told 'Chronicle Live' that Steve died doing what he did best. “He died doing what he loved, he lived for it, he always wanted to get out and dive. Weather permitting, he did it most weekends” said Norma Slater. In 2008 Steve Slater was invited to join the British mixed-gas technical diving team 'Darkstar' by the founder, Mark Dixon. At the time both Dixon and Slater were independently searching for (the still missing wreck of) 'HMS Nottingham'. Slater had a mark, Dixon had a boat. Mark Dixon contacted Steve Slater and suggested they pool resources and work together. A cagey Slater agreed to give it a go. It was the start of a very close friendship, and Steve dived extensively as part of Darkstar until his death earlier this week. Darkstar sail and dive out of the Royal Quays in North Shields, UK. The team has a good ethos of seeking out new marks / unknown wrecks. They dive the mark, and treat the wreck with the utmost respect. They take nothing and they do not enter the wreck. Post-dive they research the wreck to find out its story. In December 2011 Darkstar discovered a British WWI submarine that has lain hidden on the seabed off the North coast for 93 years. The submarine turned out to be the 'J6'. Her sinking at the end of World War I had been hushed-up under the Official Secrets Act. No one knew her final resting place, or what had happened to her. She was sunk by friendly fire in 1918 by the British Q ship 'Cymric', a merchantman with disguised guns. Only 15 of the 34 crew were rescued. Steve Slater got in touch with the relatives to learn more. 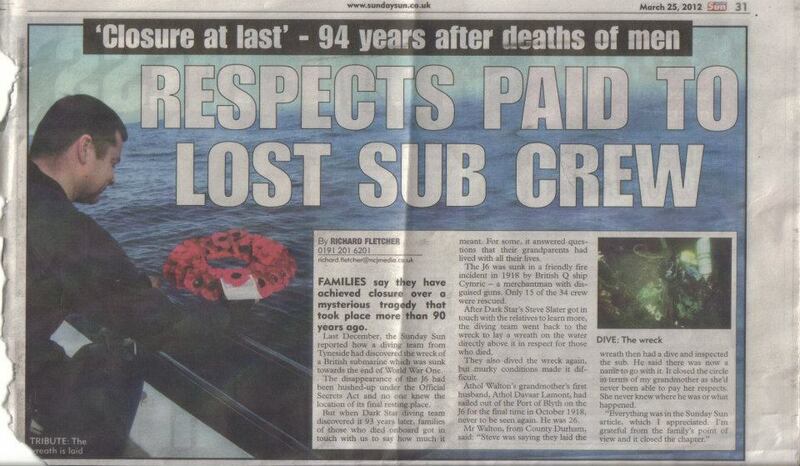 A relative later told the 'Sunday Sun' newspaper "Steve was saying that they laid a wreath then had a dive and inspected the submarine. He said there was now a name to give it, it closed the circle in terms of my grandmother as she'd never been able to pay her respects. She never knew what had happened to her first husband. I am grateful for the family's point of view and it closed a chapter." Steve Slater certainly had an encyclopedic knowledge of maritime and military history. He was an ardent fan of wreck diving and, because of his meticulous research, identified over 50 wrecks off the coast of North East England. When Slater found out that deep CCR diver Sally Cartwright knew Bill Smith (a wreck researcher and Bluebird K7 project leader) he pestered Cartwright for an introduction. She recalled that Steve's determination to find a lost light cruiser from WWI meant that he kept on finding sunken trawlers instead. (Over the years the Darkstar team has conducted 15 wreck hunting trips to find this ship). Since 2008 the Darkstar team have done some very impressive deep wreck temperate water dives including a number of lost liners. From the 42,000 ton monster liner 'Empress of Britain' (165 mt / 538 ft) to a liner almost a third smaller, the 'SS Arabic' (115 mt / 377ft). 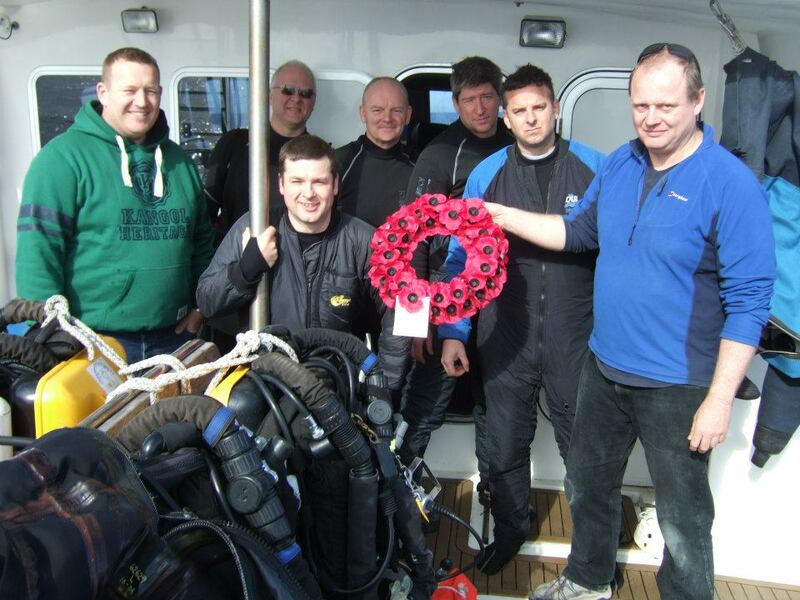 Last year on the 100th anniversary of the Battle of Jutland, Steve and the Darkstar team dived HMS Invincible. He subsequently wrote up the dive for XRay Magazine and it was illustrated with stunning images shot by Kieran Hatton. When you read the prose you get an immediate feel for his affection and fervor for wreck diving and the history of the ship. Steve always talked with great passion about his diving. He was a larger than life character, with a great sense of humour. He loved jokes and was a down to earth, funny, thoughtful man. Steve had a great spirit and was a true old fashioned gentleman. His intelligence, knowledge and drive for his favourite pursuits were what made him the guy he was. In short he inspired many divers. Steve was a high calibre technical diver. A real explorer. Most divers at this level tend to have a fairly large ego. It does help a little. You have got to have a certain something about you to dive and explore at expedition depths. The refreshing thing about Steve Slater was that he didn't have an ego. At all. Just bags of charm. In short Steve was a smashing bloke, full of energy and laughs. He had deservedly earned international respect and admiration from those who knew him in the diving village. EUROTEK organiser Mark Dixon told the 'Cape Cod Times' “He was probably one of the UK’s top four or five divers. He was a history buff and a die-hard fan of the English soccer team Newcastle United. Steve Slater was kind, generous and liked by all who met him. His next adventure was never far off. Steve had plans to travel to the Baltic Sea in August." It didn't matter to Steve Slater what kind of diver you are. These comments are from new divers and world class explorers. They all say the same thing. "It was always a treat to dive with Steve. He was relaxed, confident and generous with his time and knowledge, and a very funny guy! His absolute passion for wrecks and their history was always evident, and made for some superb dives together." "I knew he would go far with his diving. Dives were done that most thought impossible. He was an inspiration to many of us." “Steve was not only passionate about his diving - a love we both shared - but he was also one of the nicest, sincerest and most genuine of people I've ever met." 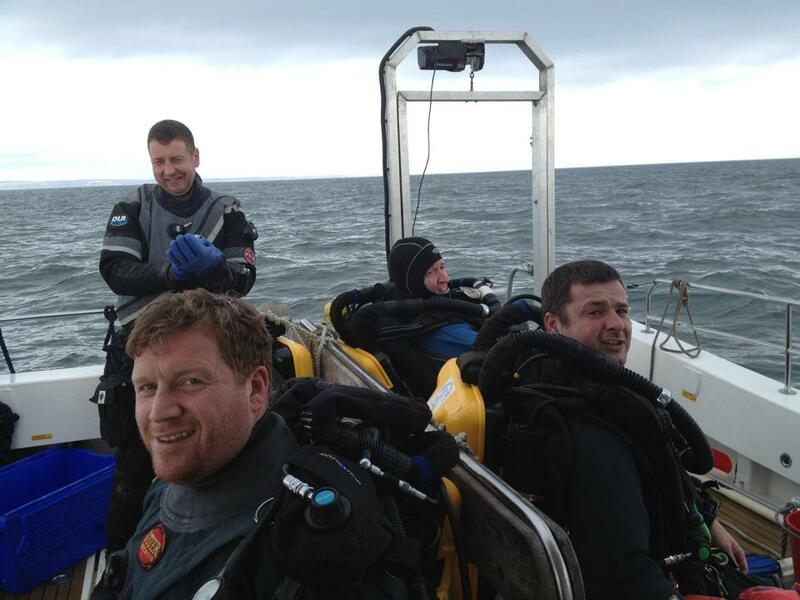 "Steve was one of the best divers I've ever had the pleasure of diving with." "Not your typical 'Geordie'. He was proud to be from the north of England. He was probably the most humble guy you'd ever wish to meet. He doesn't need a legacy, he is a legacy." "Steve was a true explorer"
"His infectious belly laugh and total piss taking attitude to life made dive trips extra special. 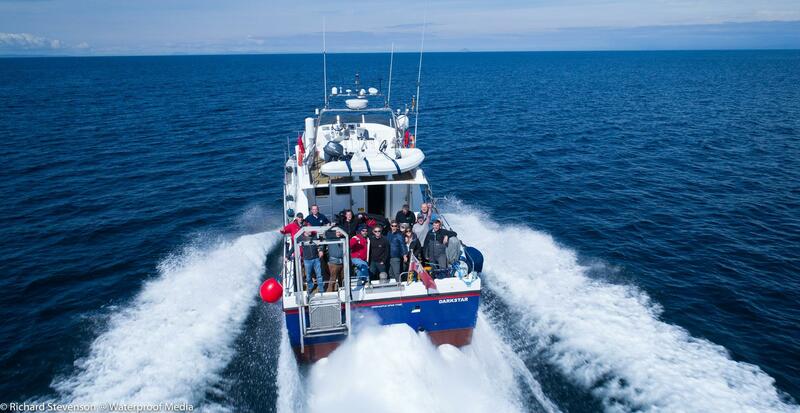 From Scapa to Scillies, Oban to Farnes, the journeys were as much fun as the dives with him. I didn't share his love for "techie diving" but he was at his happiest talking about scrubbers." "We all came away with a huge amount of respect for his knowledge and skill when it came to the sport and the sea. He clearly had a real passion and flare for exploration and made one hell of a post dive cup of tea."